How could we have Camo Week on Green Label without some style advice? It took a few decades, but camouflage was finally adopted by civilians in the ’80s, and is held near and dear by all who consider themselves fans of “streetwear.” Camouflage apparel can be dressed up or down and always looks good paired with the neutral, earthy hues of autumn. But not all camo gear is created equal. Here at Green Label we’ve put together our top ten picks for camouflage pieces that are available this season. 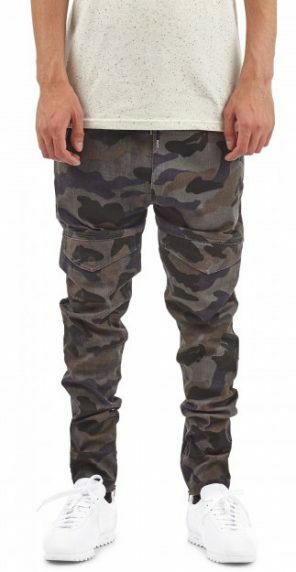 For this fall, I’m personally a big fan of the ILoveUgly Zespy pant. The stretch-cotton-blend pants are comfortable to wear but still durable. The tapered legs with zipped-foot openings make it easy to switch up your footwear, from sneakers to Timberland,and can be dressed up or down. 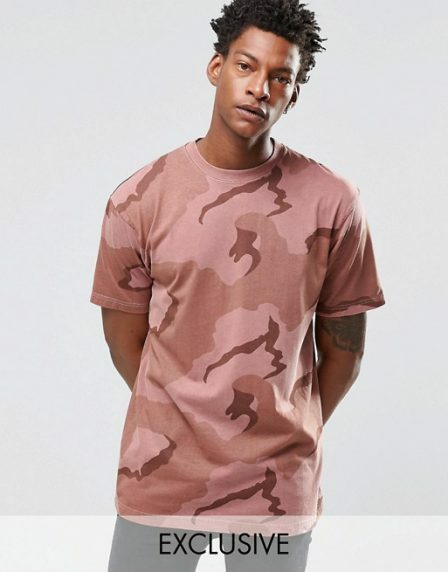 While Kanye has made the Gildan olive camouflage t-shirt a hot item, this pink camo tee by Reclaimed Vintage is a bit cooler as it’s not all over Instagram— yet. Pinks and burgundy are huge right now, and the oversized fit looks great on its own or all layered-up. In case you missed the memo, the bomber is back in a big way for fall and winter. Pick one up in camo, as it’ll be a versatile piece this season. 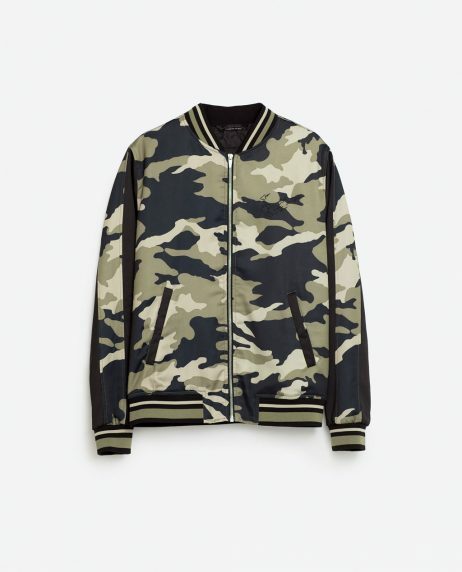 This Zara bomber features an embroidered tiger on the back that also ties in another big style trend—embroidery—without being too ostentatious. It’s no secret that we’re fans of Homies Wonderland, the brand and boutique that holds court both in the Lower East Side of New York and in Krakow, Poland. 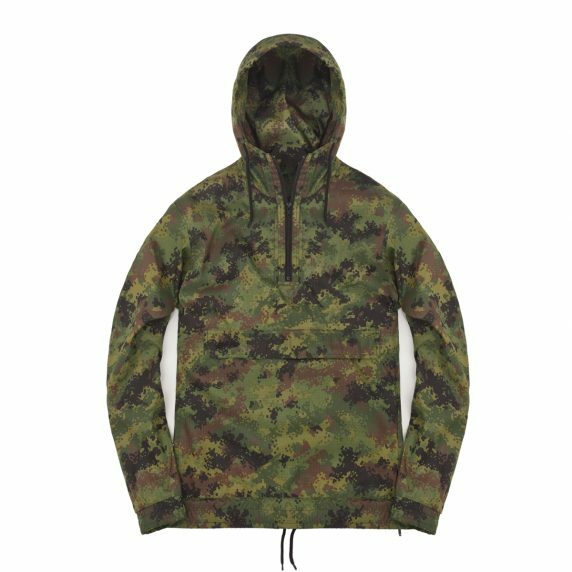 Their digital camouflage windbreaker is waterproof shell jacket so you’re ready for the ever changing fall weather while being able to layer under the piece as well. The digital print is also a modern look that will surely get shares on social media. However, you may want more than a shell jacket for winter. North Face’s new collection mixes innovative fabrics with more street-friendly silhouettes. 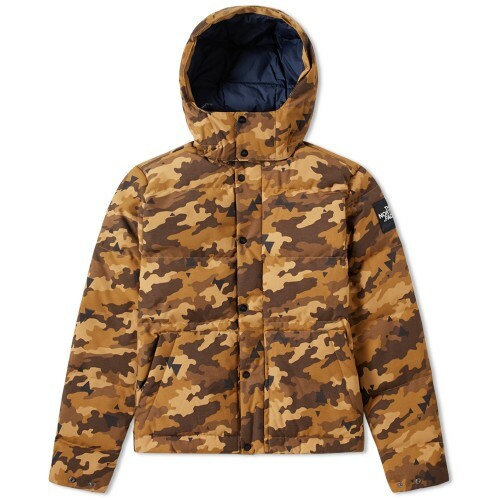 This Box Canyon jacket in brown camo has a large, detachable hood, and matches with just about anything in your wardrobe, despite being a unique take on the typical green and blue camouflage colorways. The adidas NMD was one of the runaway footwear hits of spring/summer thanks to the minimal silhouette, comfortable Boost midsole, and range of colors and prints. 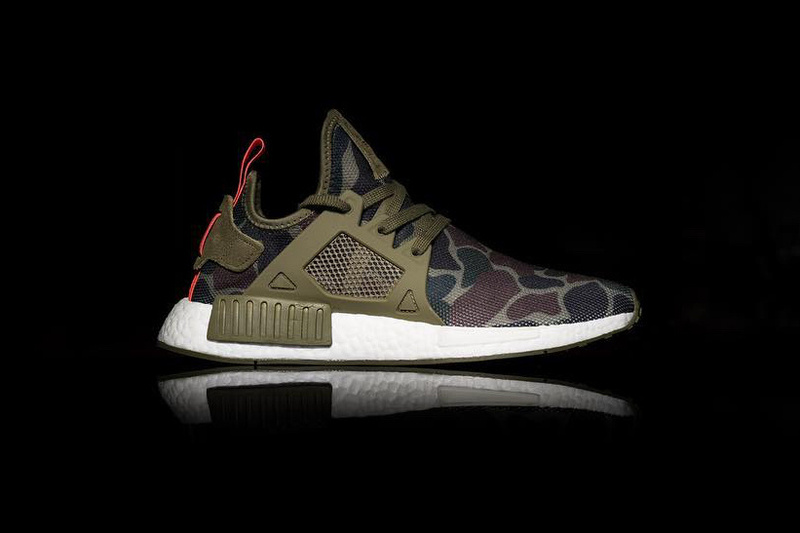 For fall, adidas is introducing the NMD XR1 silhouette in multiple Duck Camo colorways. There are traditional olive green camouflage accents on different areas of the shoe, like the tongue branding, laces and heel tag, and a pop of orange as a nod to hunters and hunting season. 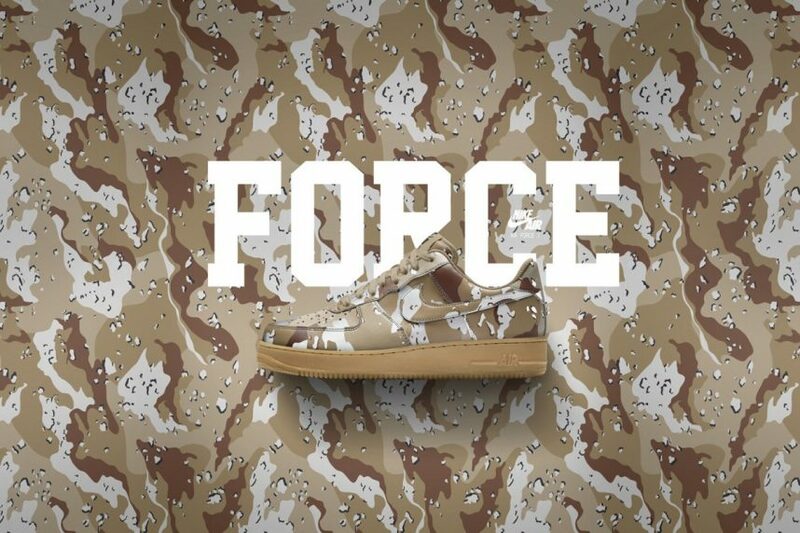 Nike is ramping up their AF1 low-top offerings for fall in what else—camouflage! They’ve created “Duck Camo” colorways, alongside desert, tiger, and leaf versions. Completing the new colors are different outsoles are reflective detailing, so you’ll still stand out when the light hits just right. While basketball jerseys reign supreme in the summer, fall is time for hockey and baseball jerseys. 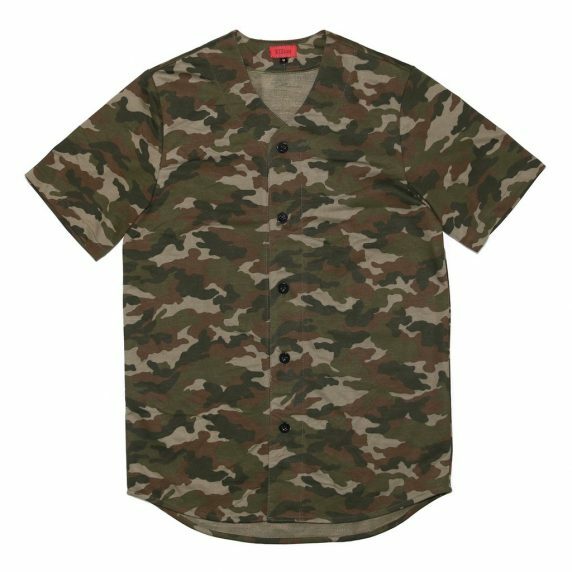 Our pick is the Killion Camo baseball jersey. It’s a lightweight cotton blend, perfect for layering over long or short sleeve tees, or with ripped denim, a leather jacket, and leather kicks. At around the $30 mark, it’s a cheap and easy way to add some versatility and style to your fall wardrobe. 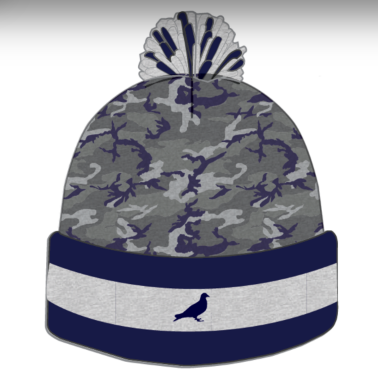 The camo stripe beanie from Staple’s holiday collection is a twist on typical camouflage, going navy and several shades of grey. The varsity stripes give it a sporty touch that you can wear with all kinds of ‘fits. 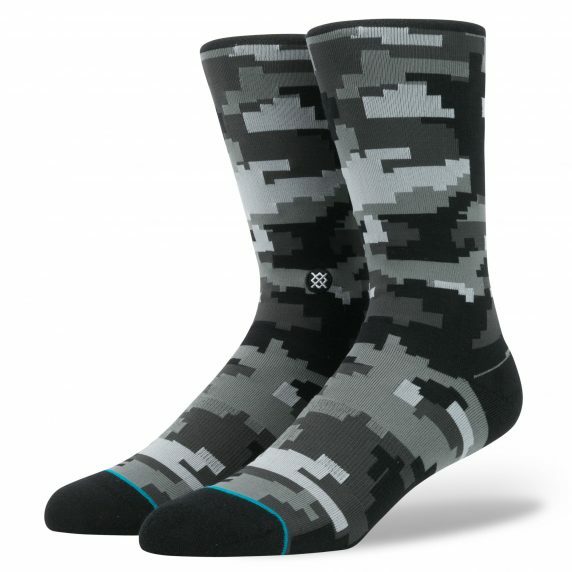 Stance has you covered with their James Harden digi camo sock. The basketball star designed his own pair with Stance that features comfortable combed cotton, a self-adjusting cuff that hugs your foot, and reinforced toe that means the sock will last through a few winters. Check out our list of the 100 hottest underground brands in America, The Green List.